The Western Cape, north of Cape Town, is perhaps less well-known than the Whale Coast and Garden Route, but is no less appealing. ​​On the coast is Paternoster (literally translated as “Our Father”, from the prayers of ship-wrecked Portuguese sailors) which is a year round destination famous for its traditional fisherman’s architecture and endless pristine beaches. 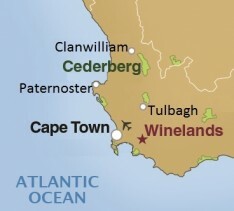 Visitors can watch whales and dolphins frolicking in the ocean (ten months of the year) and, after the first spring rains fall, the landscape is transformed by the millions of indigenous flowers which carpet the area in bright bursts of colour (usually between late July and September). 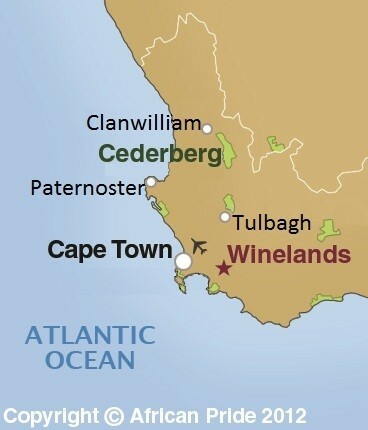 It makes for a perfect, relaxing few days after Cape Town but it is also close to several other attractions such as the West Coast National Park, the Cape West Coast Biosphere Reserve, the Cederberg Mountains and the Winelands.